Brand building exercises are not limited to electronic or print advertising anymore. Infact various print advertising objects are treated as a cheap advertising and works negative to your brand building exercise. With technology, this has grown to a new level today. Now-a-days, your brand building is to target your audience via display campaigns, website, mobile, social media, viral marketing, search engine optimization & marketing, SMS & Email marketing and so on – all to work in a way to build your visibility, your availability, your approachability and ‘you are all everywhere’ attitude. Why is all this? Simply, to reach to your prospective buyer who is looking for a service provider like yours. In the digital world, your budget is driven by your strategies & cleverness of your planning and execution. Spending $1000 a month can also do a great job if spent thoughtfully with expertise. And if not planned, you might not get the right results even with a spent of $10,000. Online marketing is a process that involves combination of several sciences which starts from your website to search engine optimization, content creation, social media, advertising and others as mentioned above. Remember, this is a marketing platform and not a direct selling program and hence might not give an instant result to transform in numbers. 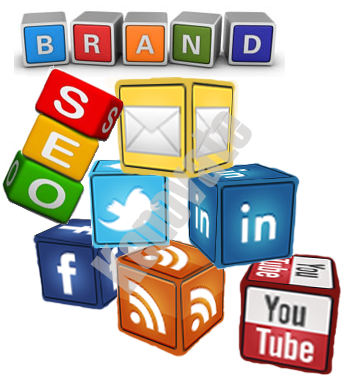 However, all your efforts toward ‘Online Marketing’ will surely add to your bigger picture of ‘Brand Building’. Kenovate is a digital media consultancy company to help organizations get there. Along with technology solutions which work best for you, we work with companies to determine their digital strategy for their brand building. We have the ability to plan & execute on each side of your brand building strategies. This might include consultations on re-organisation of your corporate / e-commerce website or pricing model for your product line or strategy on your early stage product launch. We also have the ability to execute your designing & site building needs to performing SEO, SEM, SMO, PR Distribution and so on. With our experience & strong understanding of marketing strategies and consumer behavior, blending with technology strength – we deliver each of the frond needed for your company. Do give us a call to discuss a strategy which should work best for your company or write to us. You can reach out to me on +91-9811336614 or write to me at expert@kenovate.com (with your contact info, business website, nature of business and any other info you wish to get the expert views on).